International Journal of Electrical Engineering and Computing (IJEEC) is accepting submissions. Authors are invited to submit high-quality original work to advance the field of electrical engineering and computer science. All paper submissions will be double-blind peer reviewed and evaluated based on originality, research content, correctness, relevance to journal and readability. 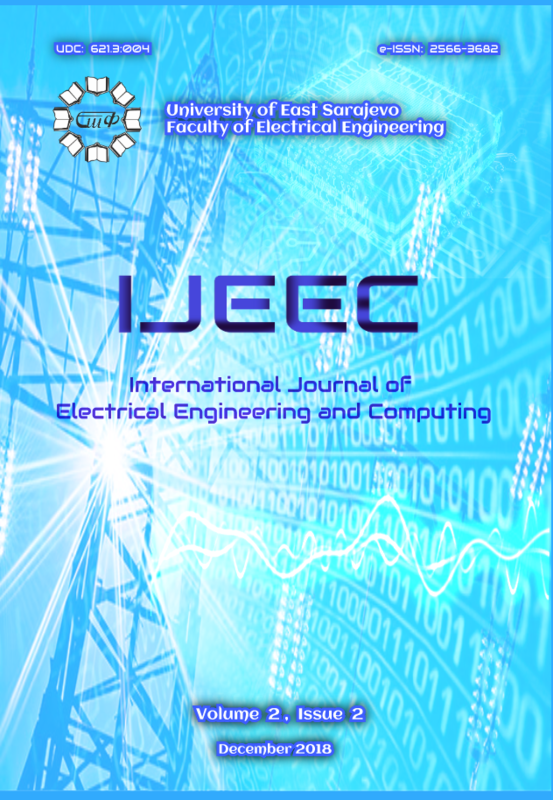 International Journal of Electrical Engineering and Computing (IJEEC) is a peer reviewed, open access scientific journal, published by the University of East Sarajevo, Faculty of Electrical Engineering, Bosnia and Herzegovina, and publishing company Academic Mind, Belgrade, Serbia. The journal was created to promote the Academic, Professional Community and research development visibility, spreading original and relevant articles in the wide range of subfields in the electrical engineering and computing. Papers reporting original theoretical and/or practice oriented research and articles of interdisciplinary nature are all welcome.